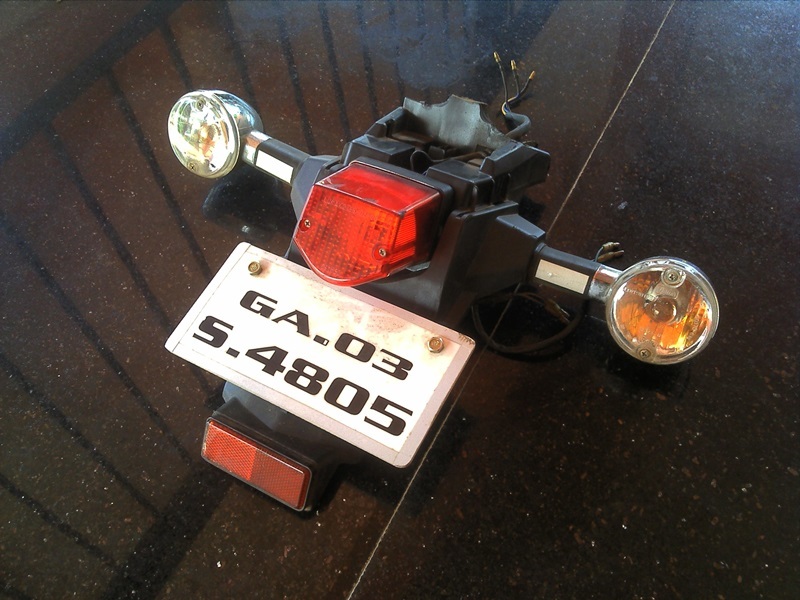 On 4th August 2013 the Porky Bastards Motorcycle Club added five new members – Julian D’Souza, Diana Souza, Rohan Andrade, Juhan Rodrigues and Regnar Fernandes. 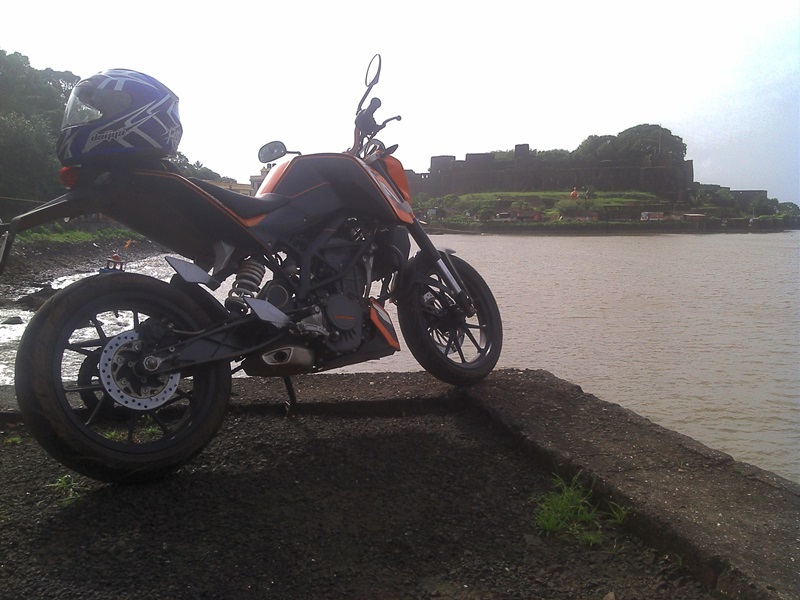 The six of us rode to Vijaydurg Fort on four bikes – three Royal Enfields and one KTM Duke. 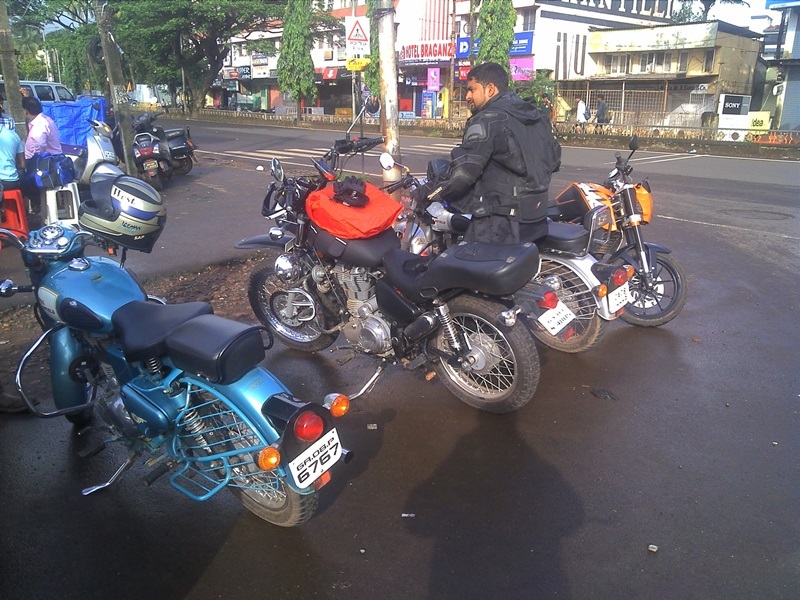 We started from the Mapusa bus stand at 8: 30 am and took the coastal route instead of NH 17. The coastal route is far more scenic than NH 17. Its a state highway and as such state of the road itself is a mix of good, bad and back breaking. Our first stop was at Shiroda. Well, we had planned a stop at Shiroda but Julian’s bike broke down and we had to go fetch a mechanic from the town to fix it. We lost a good hour and a half there. 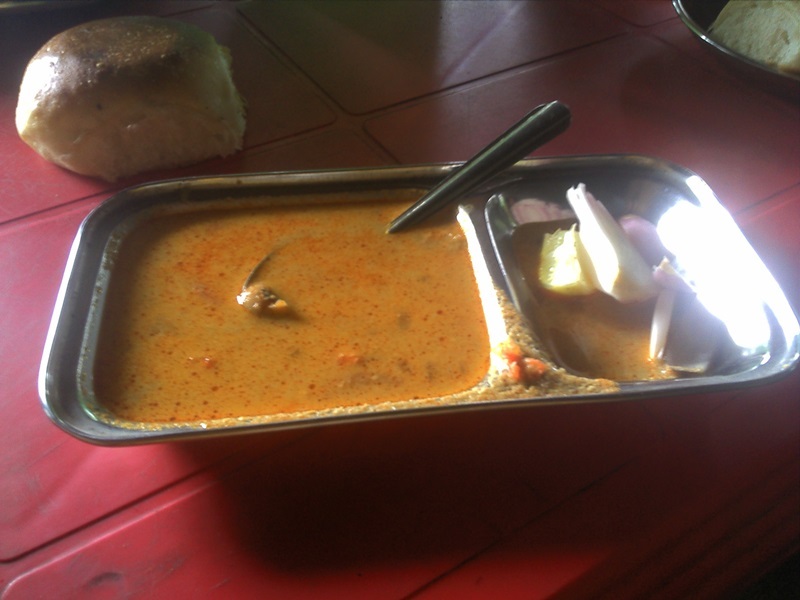 After we got the bike fixed, we proceeded to a road side dhaba and grabbed a snack. 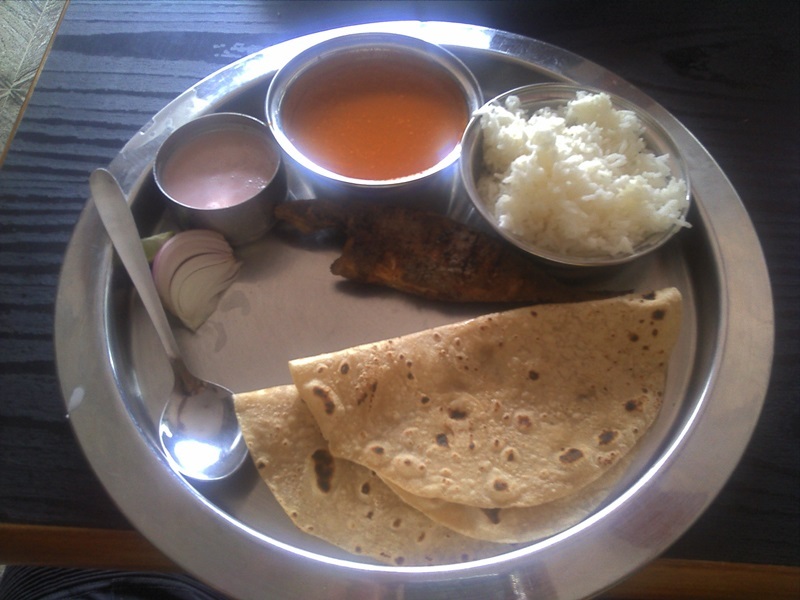 We continue to ride northwards and stopped for lunch at Malvan, where we indulged in some awesome Malvani food. We came across this at the Malvan beach. After lunch we continue riding northwards, kissing the coastline at regular internals, enjoying some breathtaking views and a few patches of horrible roads. At one point, I rode my bike so hard into a pot hole that my bike’s custom rear mudguard literally snapped into two. I strapped it to my tang bag and continued riding. 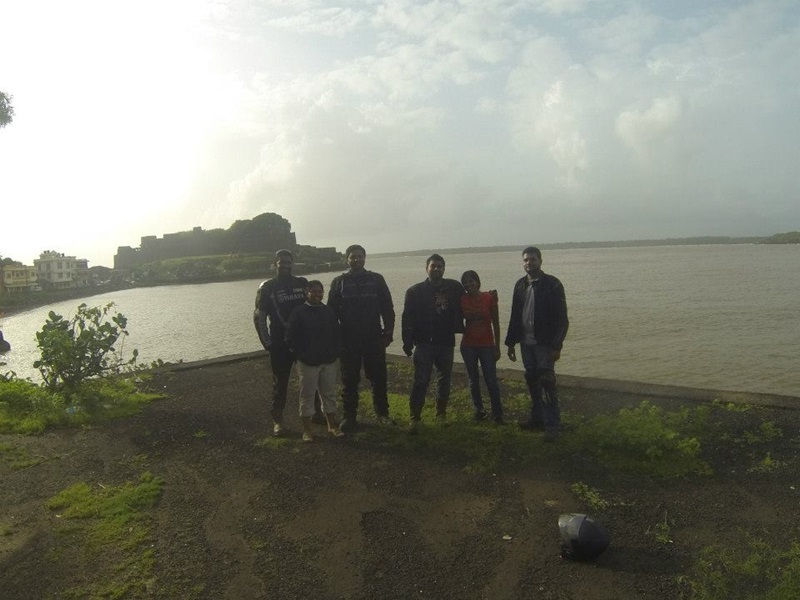 We finally reached Vijaydurg Fort at 5 pm, much later then what we had originally planned. 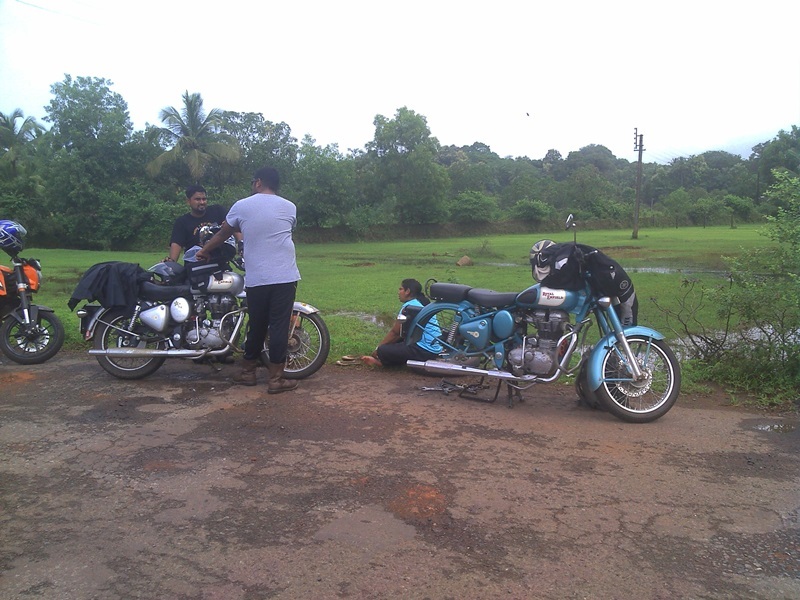 It became evident to us that we couldn’t take the coastal route back to Goa if we wanted to reach back before 10 pm. 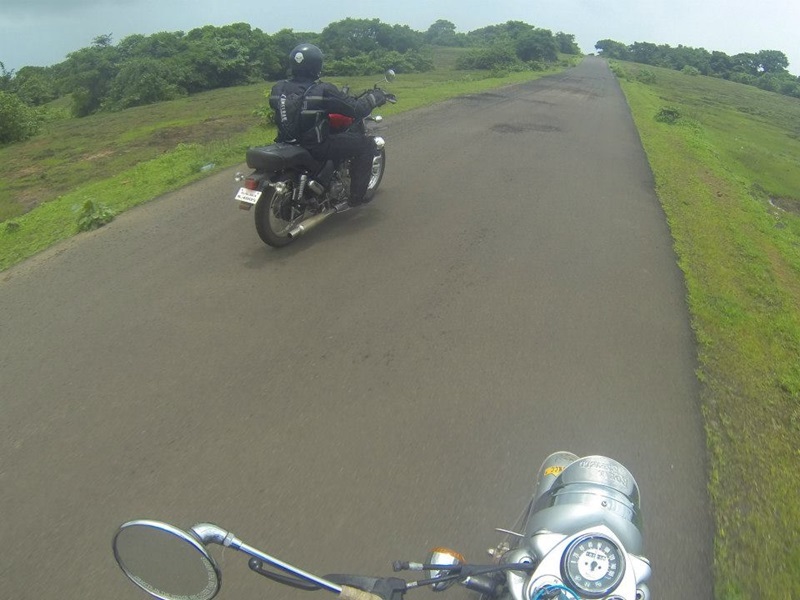 So we returned back to Goa using NH 17. The ride back was basically straight long runs with stops for rest. I reached home at 9:30 pm. 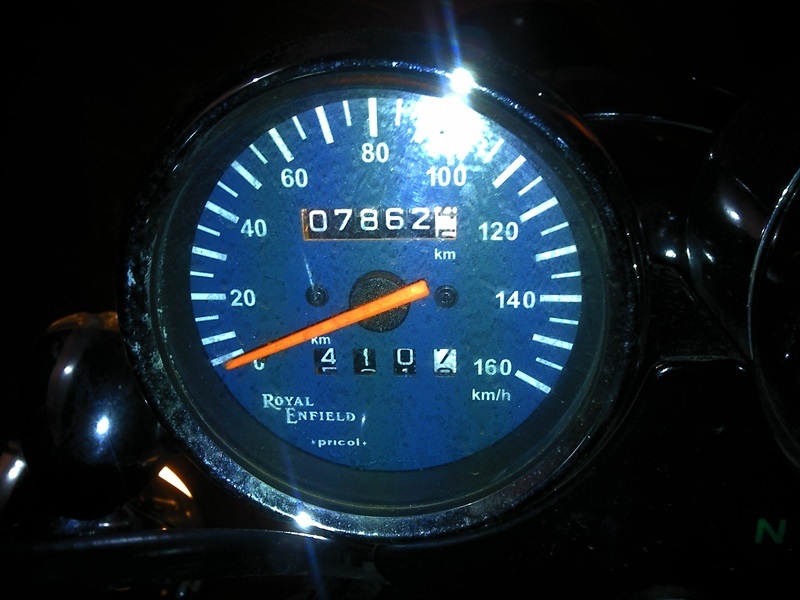 That’s 13 hours after I left that morning and my bike’s trip meter read 410 kms. Another successful Porky Bastards ride came to an end.